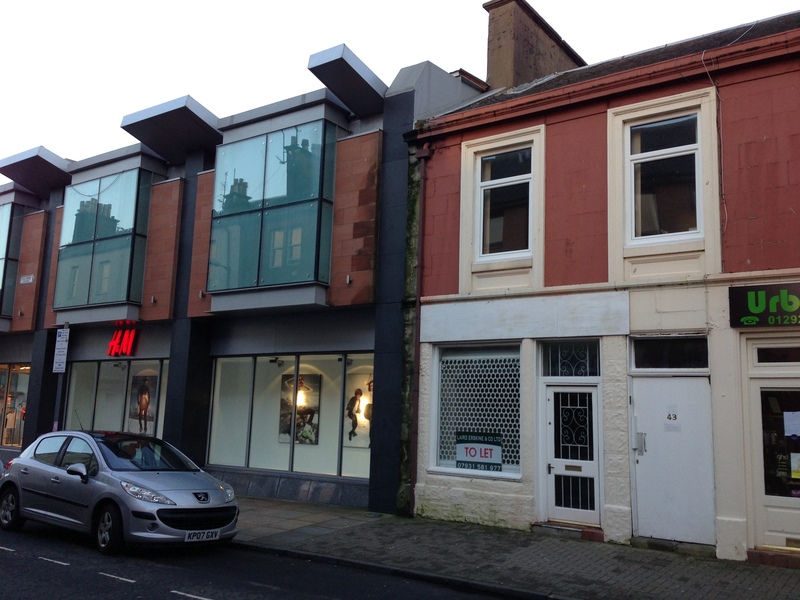 41 Kyle Street is a single fronted retail unit located immediately beside Ayr Central which has Debenhams, Next, H&M etc. In close proximity to the railway station and the University of West of Scotland Kyle Street is well located and offers both on and off street parking for shoppers.Description Mid terrace retail modernised ground floor unit c100years old. The shop comprises of a main sales area, rear staff and outside toilet. The shop has been freshly decorated in January 2013. Available now – lease terms to be negotiated. We are a property company in Ayr that offer commercial lets and residential property for rent. Our centrally located properties are perfect for both small business start ups and for people who wish to live in the thriving seaside county town of Ayr.